Today's marks two things: 1) it's both the Bobos birthdays! Happy Birthday Bobos! We lurves you! 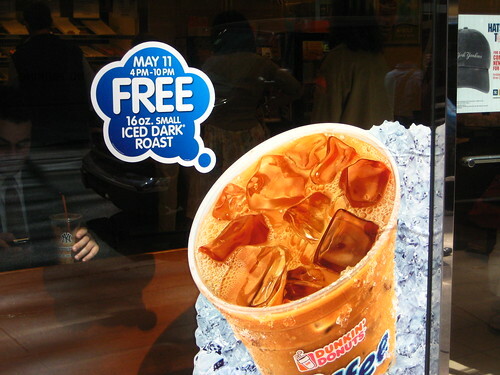 2) It's Free Iced Coffee Day at Dunkin! Who cares about half-priced Mochalicohinos, I want free iced coffee! 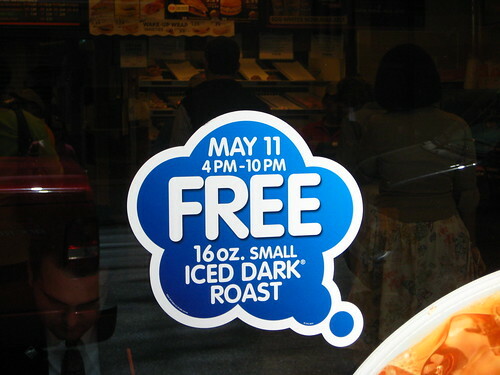 From 4 to 10pm today, participating Dunkin Donuts are giving out free small Iced Dark Roast Coffees. Free trumps half-priced any day. To find your nearest Dunkin, click here. I wonder what isiticedcoffeeweather.com thinks about this.